The US Supreme Court declined to hear two Guantanamo Bay appeals cases on Monday, upholding the decision of lower courts to reject a damages claim by a wrongfully detained Syrian, and block the release of alleged torture photographs of a Saudi national. In the case of Janko v. Gates (14-650), the Supreme Court let stand a January 2014 ruling by the DC Circuit Court that rejected a claim by a Syrian national for damages after being wrongfully held in Guantanamo Bay for seven years. Even though al-Janko had a formal federal adjudication that his detention had been unlawful, the DC Circuit Court rejected his claim for damages in January 2014, relying on a precedent in the 2012 Al-Zahrani v. Rodriguez case that “enemy combatants” could not sue the US government. In the second case, Center for Constitutional Rights v. CIA (14-658), a human rights group was suing the government for release of documents pertaining to the “enhanced interrogation” of Saudi national Mohammed al-Qahtani. 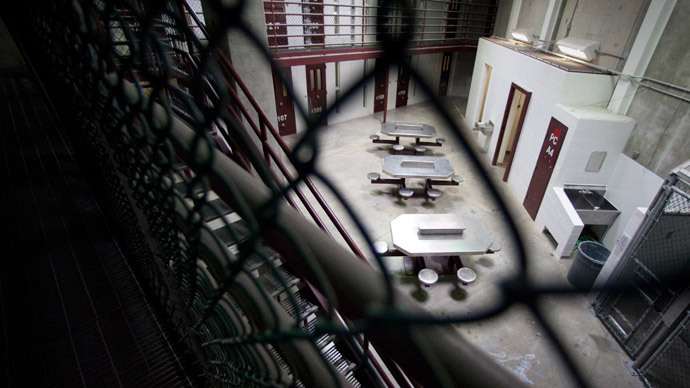 Also known as “Detainee 063,” al-Qahtani was captured in Afghanistan in 2001, and held at Guantanamo Bay ever since. Documents describing his interrogations as torture were leaked to the press in 2006. All charges against him have been dismissed, but he remains imprisoned. Following the Supreme Court’s refusal to hear the appeal, evidence of al-Qahtani’s treatment will remain secret from the public.